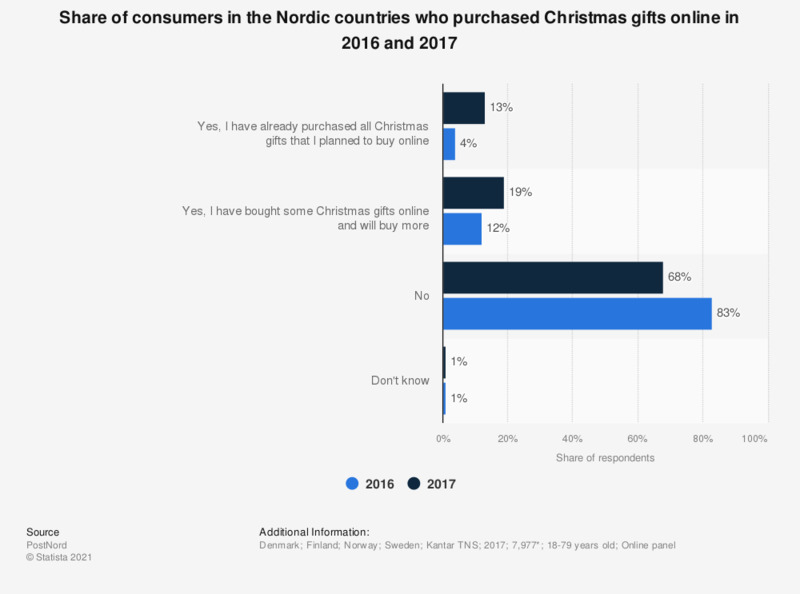 This survey shows the share of consumers in the Nordic countries who purchased Christmas gifts online as of November 2016. 4 percent of respondents said that they have already bought all Christmas presents online that they were planning to. The original question was phrased by the source as follows: "Have you purchased any Christmas gifts online this year? / Har du handlat några julklappar på internet i år?"